This Place of Worship was founded in 1861, but we understand it was closed in 2012. This building occupies the site of London Road Wesleyan Chapel. 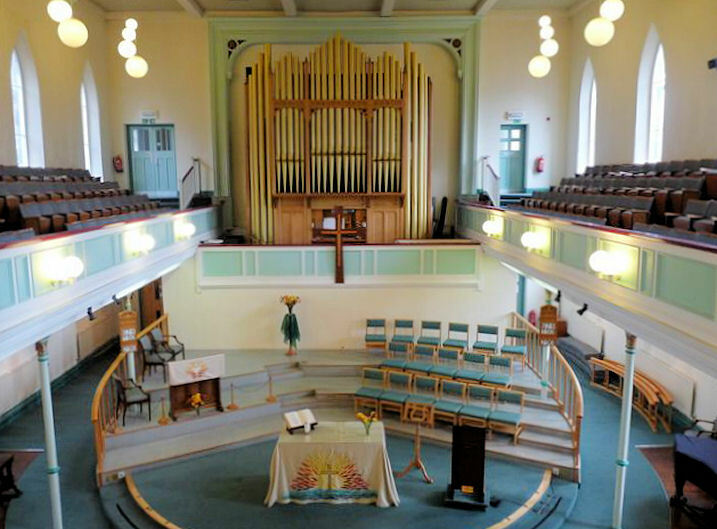 It was built in 1861, but as a measure of its importance it was restructured in 1927 to become Derby Methodist Central Hall. However a fire in 1991 destroyed much of the interior, and the structure we see today is a rebuilding, described as "a beautiful example of modern worship design within the framework of an older structure". At the time of preparing this account originally (2011) I learned that besides its Methodist congregation, the Chinese Church, and Industrial Mission in Derbyshire also met here. My information at the time was based on 2 sources, now (2018) available only via the "Wayback Machine" - the former Derbyshire Churches and Chapels, and the former Derby Church Net websites. 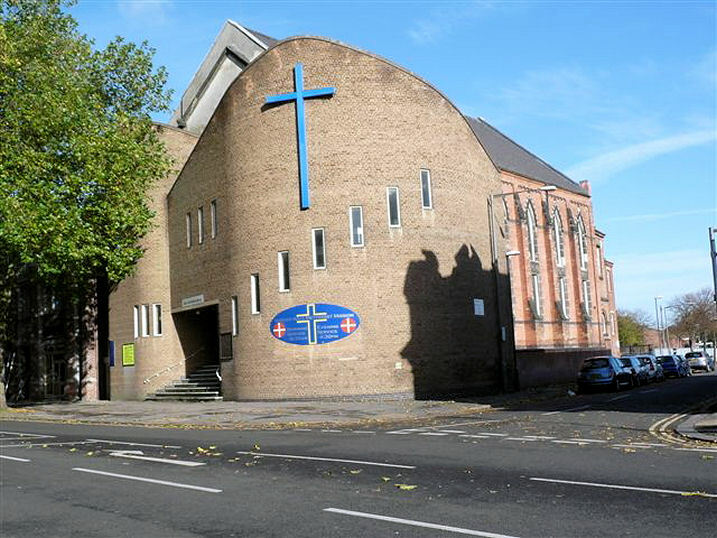 Since then, however, I understand that the "Queen's Hall Methodist Mission" closed in 2012. 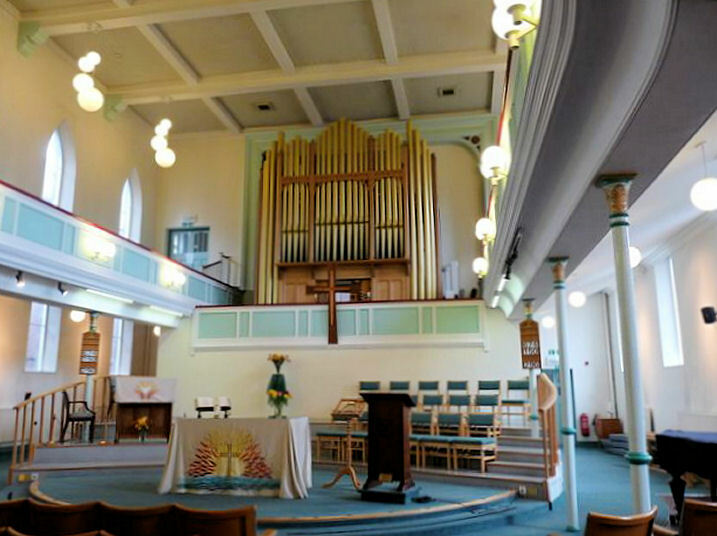 This information was (in December 2018) available on The Methodist Churches in Derby website, which also explains that the Chinese Church now worship in Ashbourne Road Methodist/United Reformed Church. 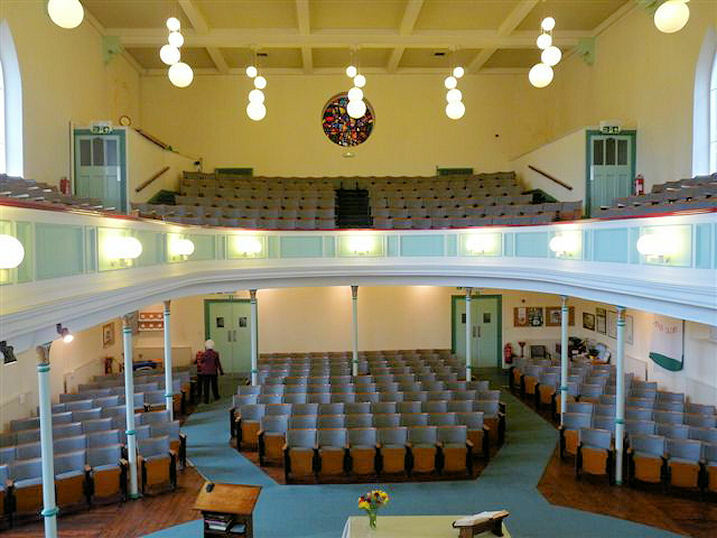 Queen's Hall Methodist Mission, Derby shown on a Google Map. Information last updated on 7 Oct 2018 at 13:42. This Report was created 4 Apr 2019 - 23:03:54 BST from information held in the Derbyshire section of the Places of Worship Database. This was last updated on 6 Feb 2019 at 15:49.